I am continuing on with wedding week today. If you missed any posts, read all of them here. 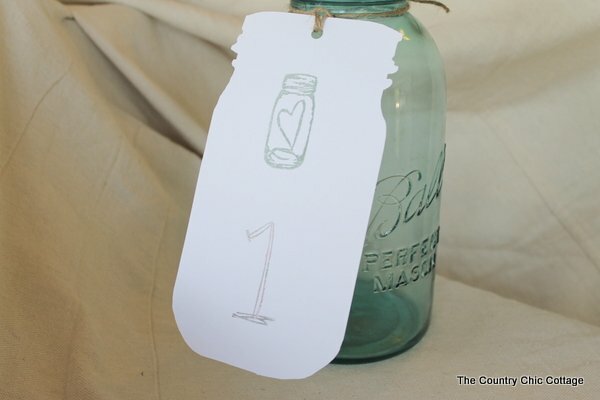 As I was brainstorming ideas for a rustic country wedding reception, I realized that a simple solution might just be a perfect one. 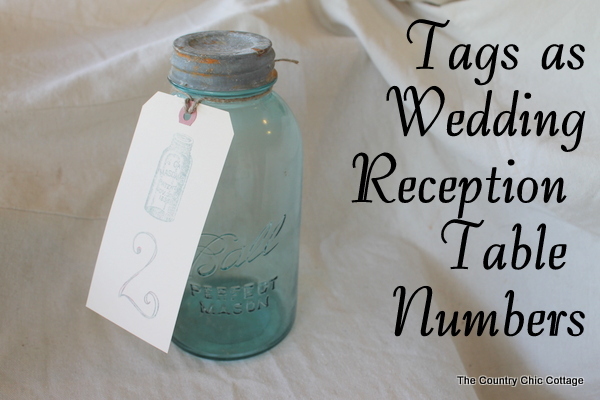 Using tags to mark your table numbers is simple, inexpensive, and fits in perfectly with a rustic theme. I actually have two different versions for you. The first version is just a manilla shipping tags . 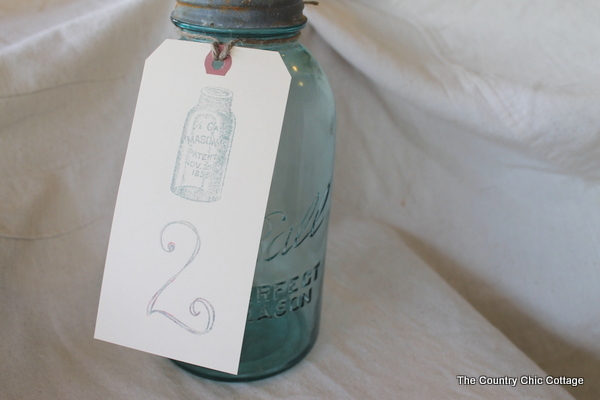 Very rustic yet readily available. 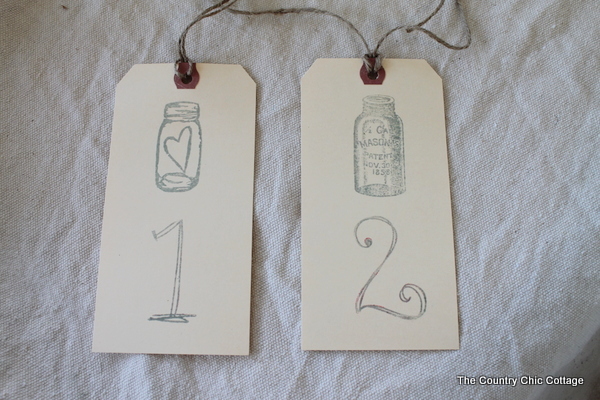 I have a couple of mason jar stamps that I used for wedding items in my etsy shop. I added those to the top and numbers to the bottom. The stamp could be anything you want it to be. The number stamps are ones I had on hand, but the possibilities are endless there as well. Now onto version 2. 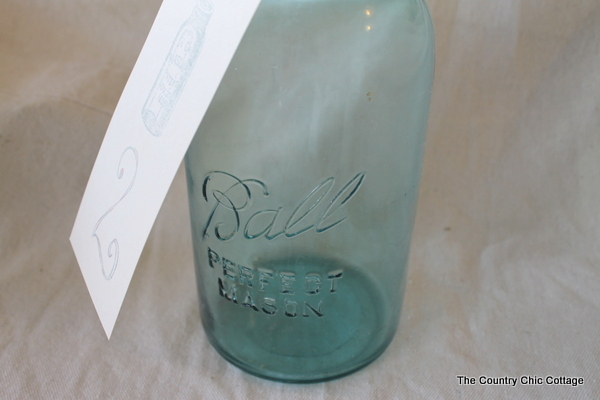 I have been selling mason jar shaped tags in my etsy shop for a few weeks. I just used my Silhouette to cut them out. 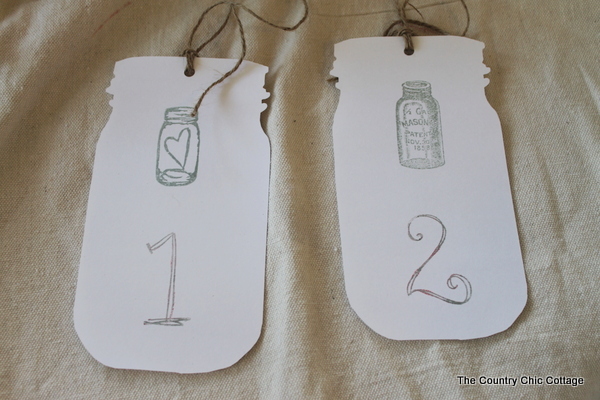 Again the same stamping method was used to make these extra large tags. 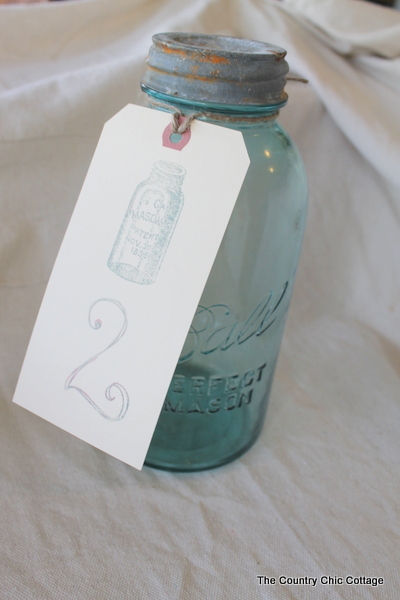 Perfect for numbering tables don’t you think? 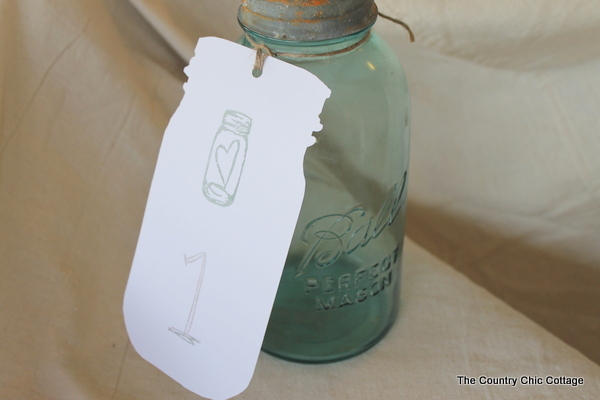 So if you are planning your rustic wedding and reception, consider going simple yet elegant. As with all of the items this week, these will be for sale in my etsy shop (sorry y’all I am already married and can’t use these!). I have even more wedding fun planned for the rest of this week! Y’all stay tuned! Linking this one up to the Dollar Store Crafts Wedding Party. 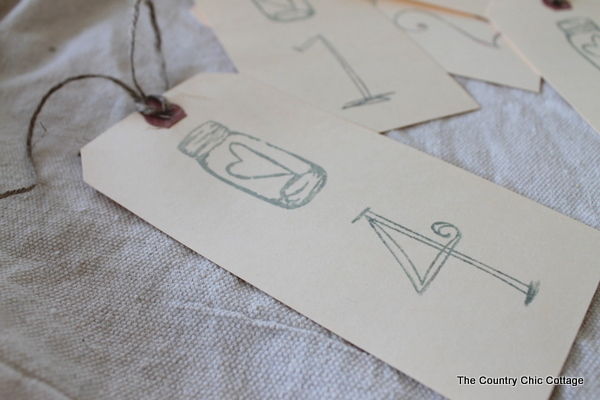 Angie, I love the tag idea, especially the jar shaped ones. Sweet! thanks for doing all the work on this project….you rock!